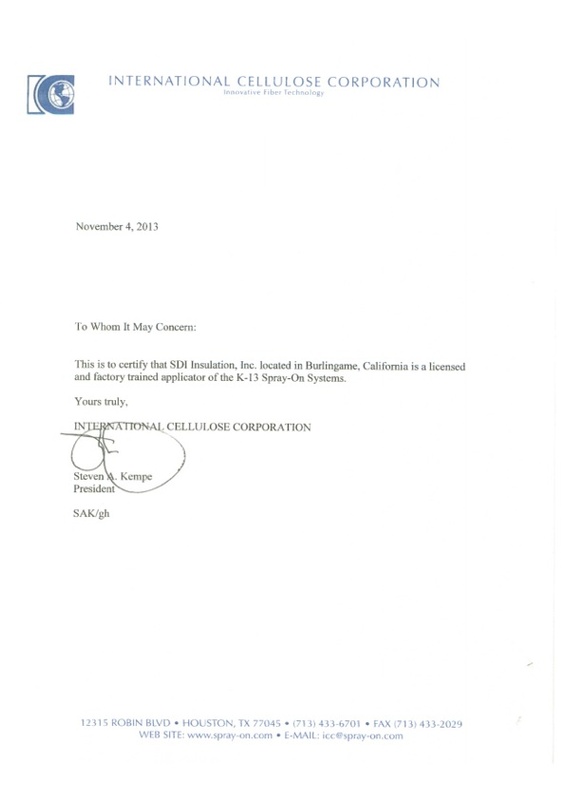 We recently received this certification letter from The international Cellulose Corporation documenting that SDI is a licensed and factory trained applicator of K-13 Spray-On Systems. Be very careful when choosing your Insulation Contractor in The Bay Area and Peninsula because untrained or uncertified technicians usually lead to bigger problems down the road. who take their job and your comfort very seriously.